First of all, despite the mood of the graphic, there’s no need for concern (it’s not me!). I chose the photo because it’s evocative of today’s books. I read A Line Made by Walking and Chemistry over a month apart, but for as different as they are they both revolve around women who have lost their way. Which, unless you are very unusual or highly fortunate, is the case at some point or another, for every woman. After Frankie’s grandmother dies, she convinces her mother to let her stay in her grandmother’s cottage taking care of and preparing the place to be sold. Frankie needs this time away, because, despite at twenty-six, she is finding life increasingly difficult to navigate. She is an artist, but is not finding any success or even inspiration in the world around her. Instead, her job as an intern at a gallery and her life in Dublin feel like the barest imitation of living. She hopes that by stripping away the modern world she can find her way back to the creation of art—what she believes herself meant to do. A Line Made by Walking is deeply introspective reading. Baume is one of those authors who uses words in a way that feels as if they are pouring directly out of the heart—which is enticing and terrifying at the same time. Frankie is sinking in the quicksand of her depression. Part of me wants nothing more than to slam the book shut—as if her despair and ennui are infectious. As if I will slow down and become mired in those feelings. It’s possible. I do almost nothing, just barely enough to keep myself from turning to stone. I perform only the most necessary tasks at the barest level of involvement. Shower without soaping, eat without cooking, read without concentrating. The novel is ponderous in its melancholy for a life wasted. Not wasted in a gone-wrong, should-have-contributed-more way but in a sadness for the person wasting it away. Frankie doesn’t harm anyone, she is not a burden, but her physical inertia, literally lying on the floor, is painful. If you’re at a point in your life where you know exactly what you want or you have accomplished everything you set out to do than A Line Made by Walking will be anthropological reading—a treatise about a species foreign to you—the kind of human who endlessly questions, whose uncertainty leads nowhere. A novel of beautiful writing about a very sad woman. If you are anything like Frankie the novel will be a lead weight of recognition. Either way, it’s an indication of how well Baume does the job of exploring the relationship between art and depression and relating its realities. It’s time to accept that I am average, and to stop making this acceptance of my averageness into a bereavement. On paper, the unnamed narrator of Chemistry, is the antithesis of Frankie. She is working towards a PhD in chemistry and is in a loving relationship. It all seems to be what she wants, until it’s not. Her lack of desire in her personal and professional life is compounded by parents who are extreme not only in their expectations, but in their unhappiness and volatility. They may be balanced out by her boyfriend, Eric, who is loving and kind, but after four years he’s putting pressure on her to marry him. Suddenly, the comfort science and its analytical approach once gave her is gone and she’s left grappling with the muddy, confusing mess the rest of us accept as normal. Chemistry is a slight book of no more than 225 pages, but even in such a small space debut author Weike Wang provides insight and clarity into the life of a woman who is struggling with both. Her frustration at trying to approach life like a controlled experiment and her background of little emotional sustenance make for perceptions and actions that are sadly humorous in their awkwardness. Wang gives her nameless narrator a voice that is utterly unique and wonderfully entertaining for anyone who enjoys sarcasm and unusual linkages of thought. Which would be me and why, even when it’s because of fighting and unhappiness, this lost woman resonated. Catalysts make reactions go faster. They lower activation energy, which is the indecision each reactions faces before committing to its path. So what do you think about Chemistry for me? I tried the sample, but didn’t get much since it’s so short. The writing style was a little odd though. My library just got it in…maybe I’ll try that. Nothing to lose. I’m on the fence for you. I really liked the narrator’s odd stream-of-consciousness and Wang’s writing style, but the novel didn’t pull me in right away. Kind of like her confusion permeated the book! 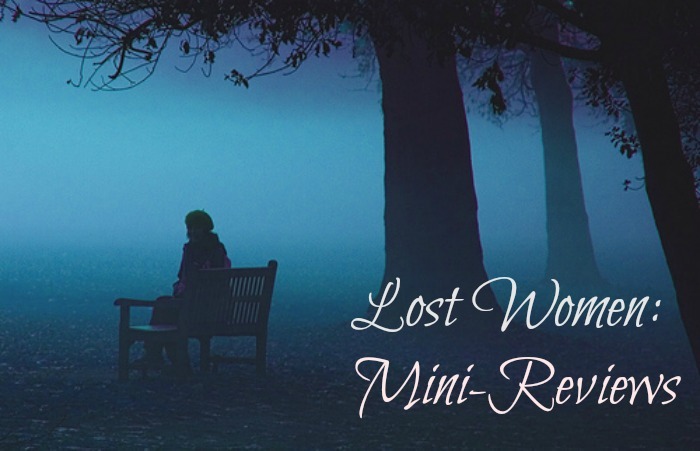 I always love your reviews and lost women is such a BIG theme in literature. I’m thinking of other recent books: Nicotine, All Grown Up, The Girls, and even Woman No. 17. It’s definitely a favorite theme for me. Chemistry was on my TBR list for May, but then I just never got to it. Now I think I might skip it and move on to the next lost woman book! It is a pretty standard theme, right? And yet, there are so many ways to be lost- and I love reading about them! Man the Baume book sounds rather sad — did you read her first one about the dog? Cripes who wants to think they’re wasting away their life …. even if they were. Might be too much!